The Greater Johnstown School District's International Program has been in existance since the 2013-2014 school year. 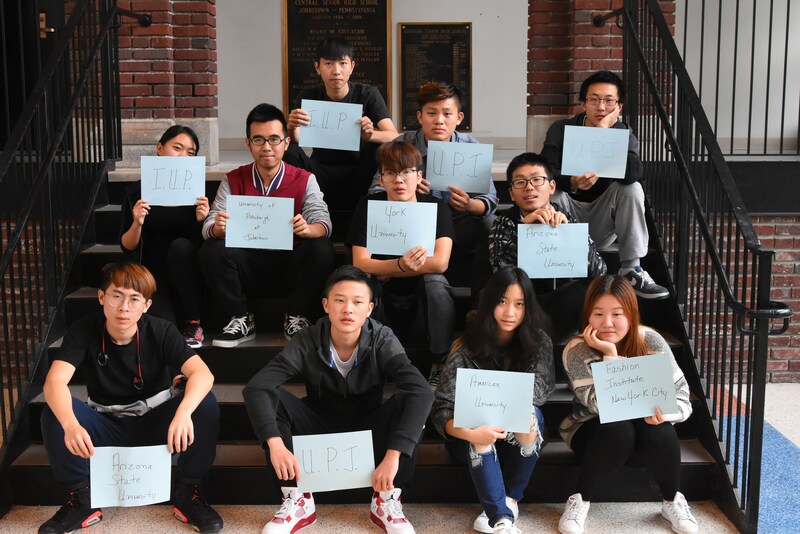 Based out of Bejing, students from China come to the United States and attend Greater Johnstown High School for their senior year. The programs enrollment has continually increased over the years with the current school year hosting 3 International Students. Greater Johnstown High School (GJHS) is named one of America’s Best High Schools for the past eight executive years (2007-2015) according to The US News World Report, which is an authoritative organization for school ranking. GJHS located at Greater Johnstown, PA, near by Pittsburgh. With convenient transportation, it’s easy to take airplane, train or bus to some major cities of America, such as New York, Washington, Philadelphia. GJHS has obtained the right from American government to recruit international high school students, and provide F1 visa to them since 2012. Since 2013, the double diploma international program between GJHS and Chinese Sister schools has implemented. Chinese students study grade 10 and 11 in China, the courses include all the Chinese high school courses and at least 4 courses from GJHS, teachers are from both Chinese and American Schools. Students would go to GJHS for the grade 12 study, when they graduate, they can have both Chinese and American High School diplomas, and also, with study of some AP courses, they can earn some college credits which help them to save time and tuition when they go to college. After friendly communication, IFA and Greater Johnstown Education Bureau ,GJHS reached a consensus, IFA would set up China office for GJHS. he program includes principals training, teachers training, pre-school education, international student summer/winter camp, etc. After friendly communication, IFA and Greater Johnstown Education Bureau ,GJHS reached a consensus, IFA would set up China office for GJHS. At the same time, a non-profit program between Chinese and American schools,(GJHS, Pennsylvania State University，University of Pittsburgh，Indiana University of Pennsylvania,just name a few.) The program includes principals training, teachers training, pre-school education, international student summer/winter camp, etc. In the year of 2013, GJHS has attended IFA EduChina Forum for Principals from America and China (Beijing Shunyi Education Bureau, Shenzhen Nanshan Education Bureau). During the meeting, all the member schools of IFA EduChina had great and deep communication with GJHS, also GJHS has became sister schools with Attached middle school of Hunan Normal University, Beijing Shunyi NO 1 High School, Shenzhen High School, Guangzhou Huamei School, Zhengzhou Jishi School,etc. The school has over 70 courses, including nearly 20 AP courses and 45 college courses. The international students would have choice of 8 courses include English, and would get American high school diploma after finishing all the subjects. At GJHS, there will be a consultant for each student to provide tailor made college entry plan, assist students for their TOFEL and SAT exams, and help students to go to their desired college.